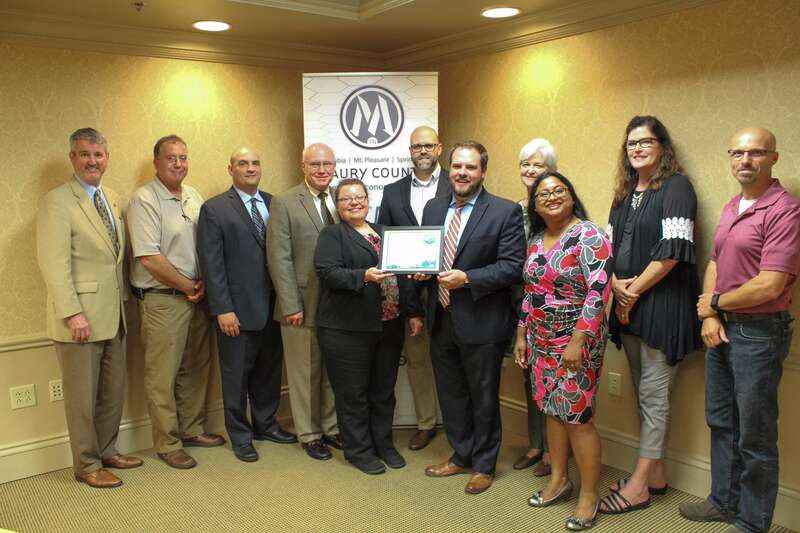 Columbia, Tennessee, October 17, 2017 – Maury County, which was first designated in the Valley Sustainable Communities Program at the Silver level in 2014, has recently completed the Designation Renewal Process, resulting in it increasing its level to Gold and maintaining its status in the program for an additional three years. The Valley Sustainable Communities Program, sponsored by TVA Economic Development, was developed and administered in partnership with consulting firm Boyette Strategic Advisors (Boyette) beginning in 2013. TVA offers the program as part of its community preparedness offerings to assist communities in evaluating existing sustainable programs, cataloging their sustainable assets, and increasing future commitments to sustainability. The goal of the program is to document a community’s assets and increase the likelihood that they will be viewed as progressive and competitive by companies looking to invest in new or expanded locations. In order to continue to support the integrity of the Valley Sustainable Communities Program long term, the program was established so that the qualification for each community would be designated for a period of three years. At that point, a designation renewal process is initiated to re-designate the community under the program. The designation renewal process is focused on reviewing all programs that were part of the Sustainable Inventory previously developed and scored, and ensuring that all such programs are still in place and eligible for continued points designation. 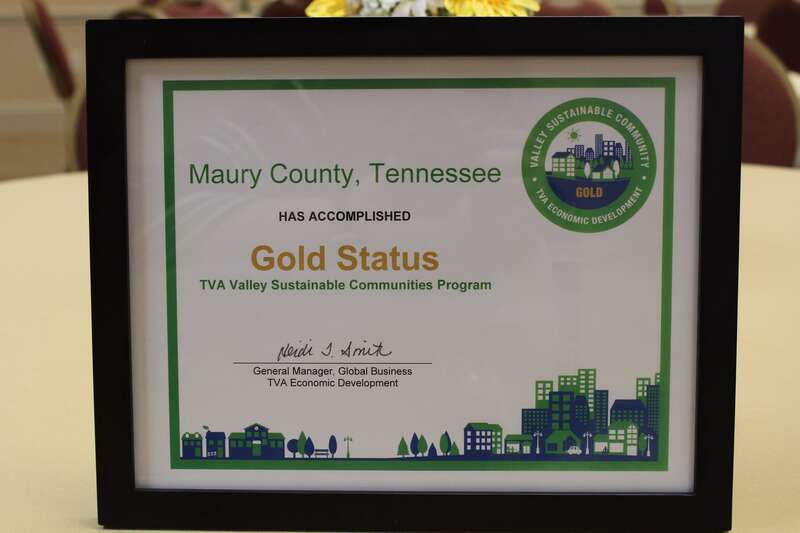 This process resulted in an updated Sustainable Inventory and Marketing Messages for Maury County and its increased designation as a Gold level community for the next three years. 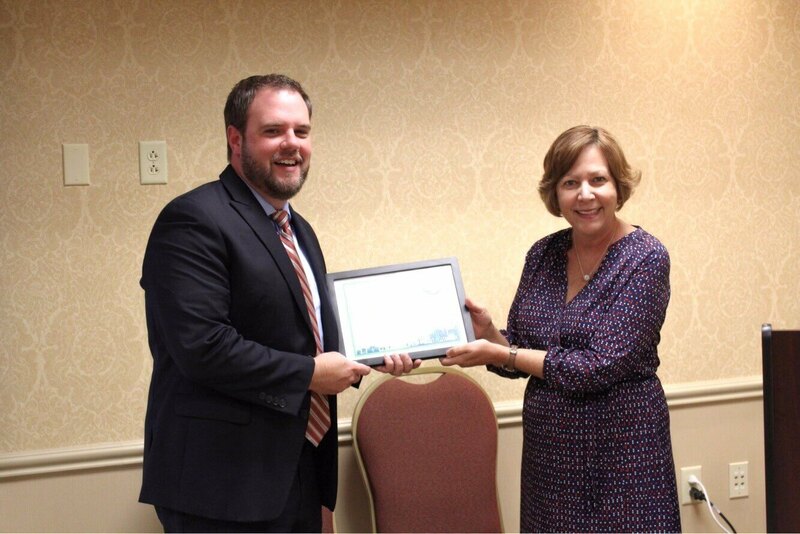 “Maury County’s increased designation at the Gold level recognizes that it has continued to have community-wide sustainability initiatives in place, with additional programs available to support the existing business community and promote economic development,” said Del Boyette, President/CEO of Boyette Strategic Advisors. Sustainability has become a key issue for economic development organizations and communities as more corporations have demonstrated an increasing commitment to sustainability. In a recent survey conducted by PwC found that 80 percent of CEOs believe it’s important to measure and reduce their environmental footprint. The typical reasons for this corporate commitment are reduced operating costs for increased profitability, attracting workforce talent and greater customer satisfaction. At the conclusion of this year’s cycle, it is expected that a total of 31 communities across the Valley will have been recognized in the program. In addition to completing the inventory of sustainable assets and utilizing the Valley Sustainable Communities designation in their marketing materials, communities that complete the program also receive marketing support from TVA Economic Development. Maury County, recently ranked fifth in growth for Tennessee counties and third for new incoming investment, is located 30 miles south of Nashville encompassing the cities of Columbia, Mt. Pleasant, and Spring Hill. The region is a hub for manufacturing, services and retail throughout the south central portion of the state. Maury County’s strategic location, abundant land, low costs and skilled workers attract a diverse mix of industries.